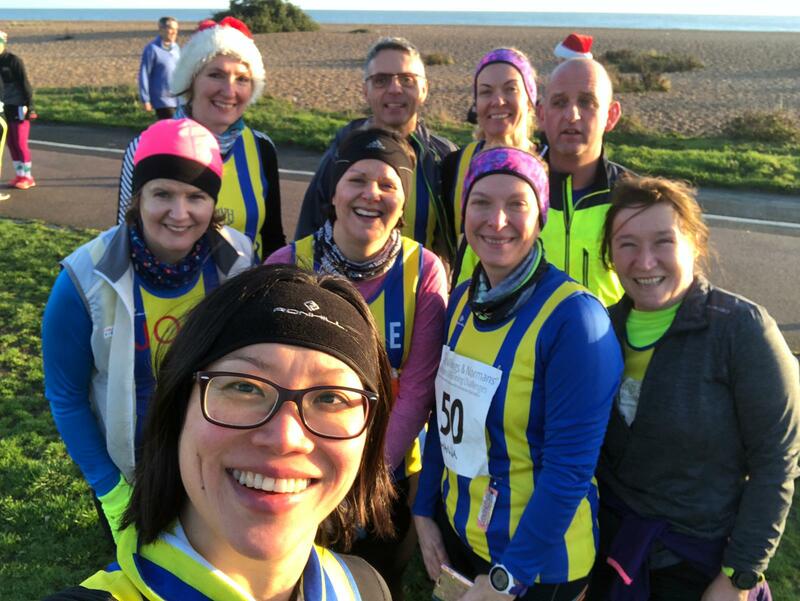 Last Saturday 22nd December a group of harriers traveled down to Deal for the Saxon Shore Marathon and Challenge event – the occasion my 50th marathon…… Credit for this has to go to a certain Ana-Maria Green she showed me that you can achieve more than you believe possible – it just takes time, patience and determination + finding what works for you. This goal was made possible by a company called Saxons, Vikings & Normans, run by an amazing couple – they put on low key, friendly events and provide encouragement and the perfect setting to try to push yourself and go outside your comfort zone. It’s very inclusive, all are welcome, new, old, slow, fast – it’s not all about the times, for some this is the goal, but certainly for me this year it was about working out how to stay injury free and achieve the goals I was setting myself. I achieved the back-to-back marathon goal at the mega marathon challenge in May, by Beachy Head marathon I was on 12 marathons in 12 months – that just left a final 3 and I would reach my goal of 50! My 50th event was booked much earlier in the year, it gave me a goal and something to aim for, and once you’ve told people then you are kind of committed…. So last Saturday we all headed to Deal, fortunately my pre-order of lovely weather was listened to, perfect conditions down at the coast. 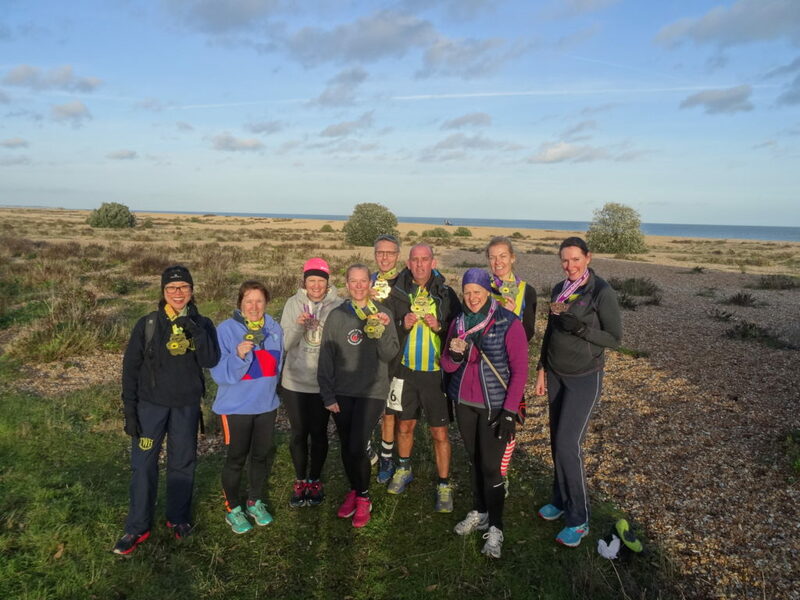 Saxon Shore Marathon ended up being a real one of a kind event as it incorporated Walmer and Deal Park Run. Saxon Shore Marathon and Challenge is laps up and down the coast of 5.24 miles (so x 5 gives you a marathon/ 3 or 4 is heavy half). So we did part of the first lap, headed off to Park Run – bit of waiting around for race briefings (we think about 15 mins) but we utilised this time – picture taking and selfies….. I really could not have asked for a more fun perfect race for my 50th marathon, running with friends, which for these who have witnessed myself and Debs running, will know means non-stop talking, everyone was able to do their own choice of distance, and I think I can safely say as is quite usual at an SVN event everyone achieved more than they were planning for. Ana-Maria – achieved the milestone of 55 marathons. Debs – achieved her 12 in 12 in 2018 – Saxon Shore made it a Bakers dozen. Carol – for adding another park run tourist to her total. Me – 15 marathons in 12 months and 50th marathon overall. This whole journey has certainly made me realise a lot about myself, my own sheer determination and my ability to push through the pain barrier to achieve something I did not think possible. My journey was not about PB’s or times, many races was more about running with others, meeting new people, and above all making each and every race as enjoyable as I could in its own individual way. Huge congratulations to all on Saturday, I personally was delighted with my time, especially given the 15 mins or so waiting for park run. We all did amazingly, with some achieving marathons they did not know they could do and everyone else certainly managing an unexpected high mileage – so huge well done and congratulations to all. Ranscombe Winter – really wet, muddy cross country course that went on for 26.2 miles. Huge thank you to Micheal for staying with me. Phoenix Dark – how is a night time event so hot! But bless the local yacht club who unwittingly were playing YMCA – was rude not to…. 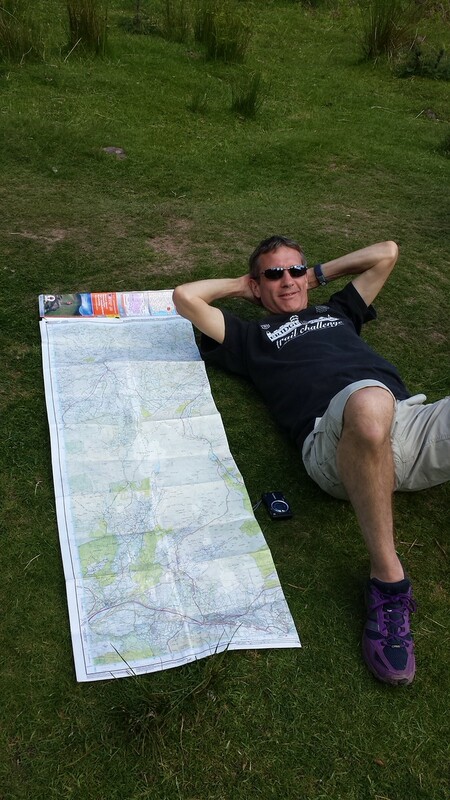 Ashdown Forest double – Debs and I shared this pain…. Major mistake great course for one day – but just because it’s local back-to-back marathons not recommended. But for these who know us fear not we didn’t run out of conversation…. Usual Suspects – freezing temperatures, pounding waves on the sea wall, sleet. Thank you Debs at least we froze together. So all in all a very good year for this harrier, so on that note, thank you for reading this very long winded race report and have a wonderful Christmas and new year.